The "Fiji Water Girl" from the "Golden Globes" Is Suing...Fiji Water? The “Fiji Water Girl” from the “Golden Globes” Is Suing…Fiji Water? If you failed to catch the red carpet portion of the 2019 Golden Globes, you might have figured you didn’t miss much. While that’s definitely true, this year’s walking-inside extravaganza did include a funny little tidbit – a model serving Fiji water on a tray photobombed just about every celebrity she could, and (most) everyone loved it. Fiji Water Girl, who models under the name Kelleth Cuthbert (her real name is Kelly Steinbach), became an overnight sensation (because it was hilarious) – but it turns out she’s not as excited about being remembered as “the Fiji water girl” as one might think. In fact, according to E! News, the model is now suing Fiji for using her likeness without her permission. She also claims that the company pressured her into signing a document that authorized the use of images of her, pre-event. 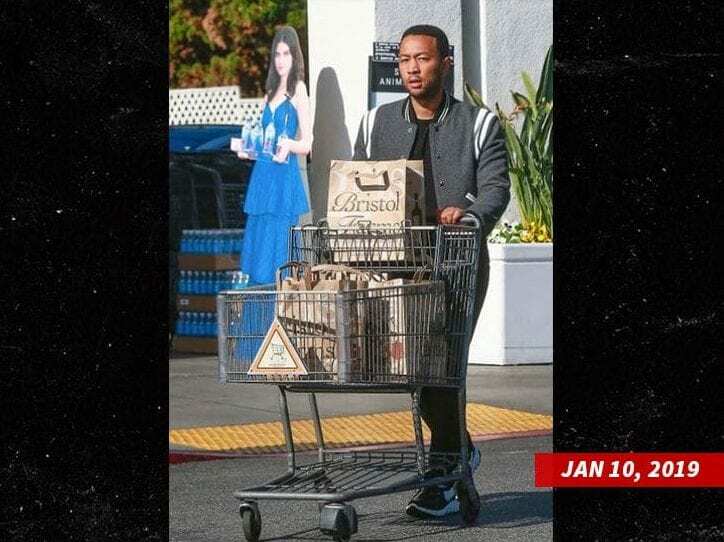 Some people are giving her a hard time, but in truth, she couldn’t have foreseen that agreeing to carry around a tray of water would lead to insta-fame that led to Fiji using her image in cardboard cutouts and making tons of dough off her moment in the spotlight. Tons of dough to the tune of about $12 million in profit. Cuthbert wants her share and really, who can blame her? It’s her face, and it’s her stunt that made it – and Fiji water – a story for a few days. For their part, though, Fiji is brushing aside her claim. “This lawsuit is frivolous and entirely without merit” as the “negotiated a generous agreement” with Cuthbert that she then violated following the Golden Globes. Get out your popcorn, folks. It looks like this one is going to be at least as interesting as watching pretty famous people walk down a red carpet in dresses that could pay off my house.